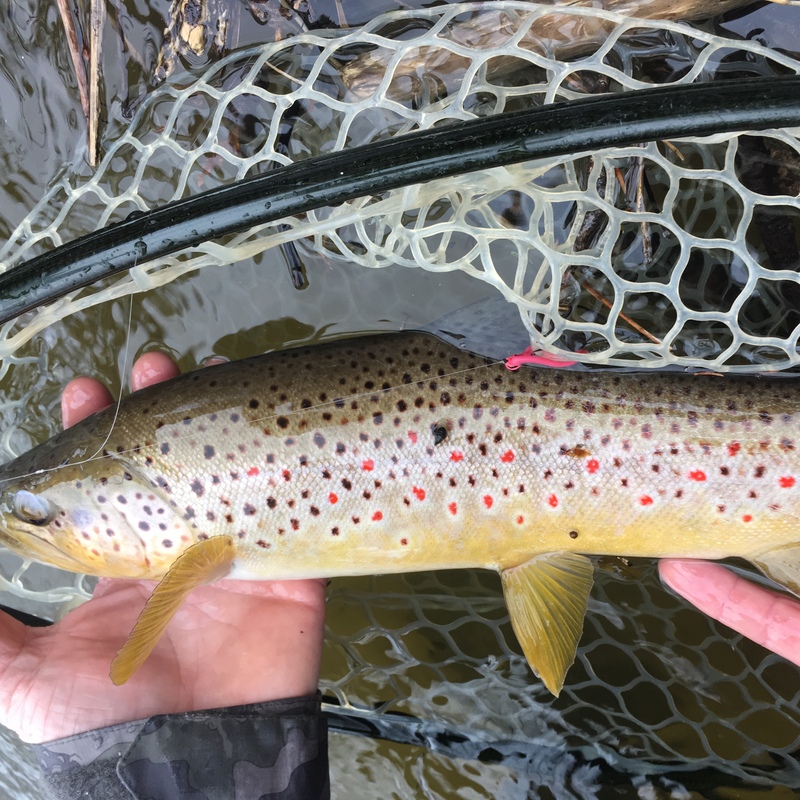 With the eleventh annual Otter Creek Classic in the books, it’s time to get down to the serious business of spring Vermont fishing! First, congratulations to all our winners and also the rest of you all who came (and keep coming) to support our opening weekend festivities here in Vermont. With a record turnout for the Classic and a sellout for the F3T, we’ll be sure to have a sizable donation to Project Healing Waters. It was great to meet so many new people over the weekend and hear all the great stories that come with opening day; broken rods, swims and catching some good Vermont fish. Unfortunately, the rivers really took a hit last night and early today. Needless to say, it is not so great time to be on any moving water. As I write this, 7pm on Monday, the New Haven is still in the mid 2,000 cfs, but it appears to be dropping steadily. Perhaps by late tomorrow or Wednesday it could be fishable again. If you decide to go out, a word of caution, as severe water events tend to move things around, so be sure you know what you are stepping into or on before you do it. One thing is for certain though, the fish will be hungry after having this much water push through their system over the last few days. Not to sound like a broken record but, stonefly nymphs, worms and other attractor nymphs should get some eats as the water recedes. Stone flies and worms are pretty much helpless in the current and get knocked loose easily. Plus they are a bit larger item coming downstream, so just due to that, they tend to get a few more looks. Especially on the lower reaches of the Otter tribs, riverbanks are constantly getting eaten away, and with that comes a flush of earthworms to add to the buffet. As things settle down, on the tribs at least, that’s the time to start downsizing flies and maybe going a bit more imitative. Thinks PT’s or its euro cousin the Frenchie, hares ears, princes and the like. One other strategy to keep in mind this early season is to work a run thoroughly, even after catching a fish. Several competitors this last weekend we able to pull multiple fish from one spot by changing flies and giving the spot a brief rest after landing a trout. On other fronts, there are Champlain steelhead in local Champlain tributaries, but as always that means people in those spots. Getting an early start helps, but sometimes you just gotta wait your turn at the run. With some reduction in water levels, we will be out later this week, so I’ll have some more first hand info to pass along for the next report. As always, any questions about flies or rigging or anything local fishing related, feel free to send me a message dave@mmvt.com. Stay safe for the next few days; a great time to replenish the flies if you lost a bunch on opening weekend.